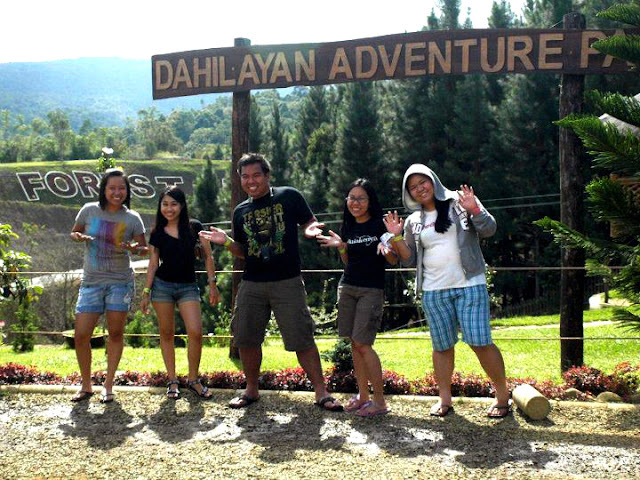 We reached the Dahilayan Adventure Park in around two hours. I didn't want to admit on my friends but I was kinda scared then. I think of myself as adventurous .. but scared. 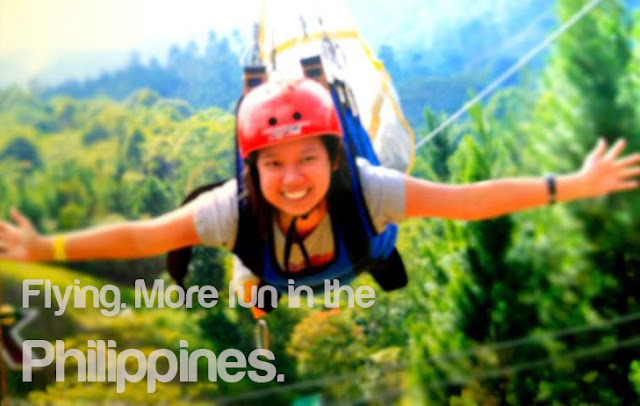 I will try something just for the heck of it - EdgeCoaster in Cebu, cave connection in Sagada and even Space Shuttle Max in Enchanted Kingdom. 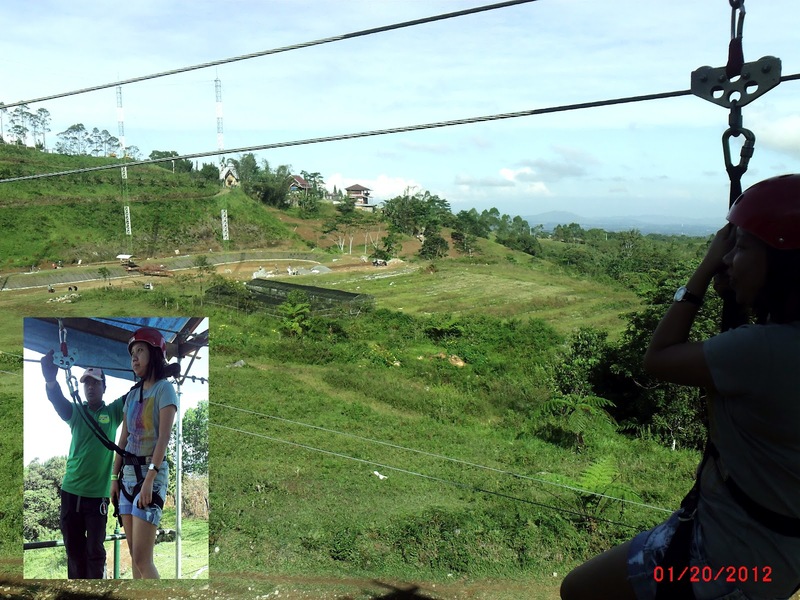 For the last and the longest zipline, we needed to ride an open 4WD to the launch tower. It was a bumpy ride to an uphill road. 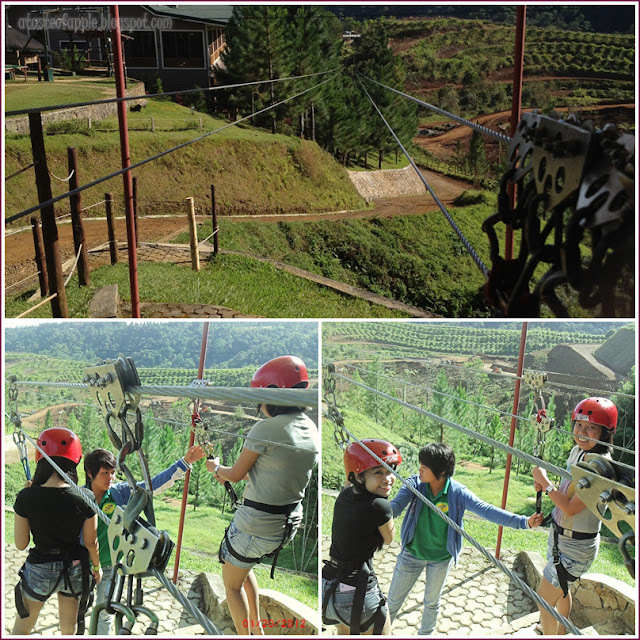 In the launch tower, we had to be in a full body harness for the last zipline. But to be honest, my scare meter suddenly went up. Coward much? :) But it was a fun ride after all. The view from the top was superb.